His speech is low and rapid, his manner assured; he is at home in courtroom or waterfront, bishop’s palace or inn yard. He can draft a contract, train a falcon, draw a map, stop a street fight, furnish a house and fix a jury. He will quote you a nice point in the old authors, from Plato to Plautus and back again. He knows new poetry, and can say it in Italian. He works all hours, first up and late to bed. I wasn't convinced by Wolf Hall when I first heard about it. Do we really need another book about Thomas More and Henry VIII, I asked myself? We've got The Tudors on the telly, we've had several versions of A Man For All Seasons and numerous historical novels about this period in history. We also had this episode drummed into us in school and on half a dozen BBC history programmes. What else new is there to say? Well, quite a lot actually. Wolf Hall and Bring Up The Bodies together form a strident counter narrative to the prevailing view. The history I got in school was the story of a greedy Henry VIII and an evil Thomas Cromwell, wrecking the constitution, cutting womens heads off and destroying the monasteries, rare places of learning and charity. Mantel, as any good defence lawyer will do, goes a bit overboard to show us that Henry wasnt a mad wife killer, didnt subvert the constitution and, she claims, the monasteries were in fact places of corruption, sloth, cruelty, stupidity and pederasty. In both books we also get the story of the famous women of the time, especially Anne Boleyn and Jane Seymour. Anne is clever but indiscreet, Jane is simple, coy and beautiful. The young Queen Elizabeth is a spiky ginger and Queen Mary is a cold religious prude. But the real heart of these two novels is Cromwell. 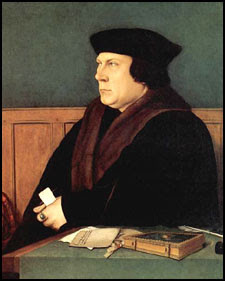 Mantel's Thomas Cromwell has become one of the richest and most interesting heroes of contemporary literature. It's obvious why this novel is more popular amongst women than men, because the Thomas Cromwell of Wolf Hall is an idealised male lead, impossible for any man to live up to. Whether the real Thomas Cromwell was anything like him I have no idea, but judging from the achievements of his children and wards I'd say that Mantel's take is probably closer to the mark than the villainous coxcomb of A Man For All Seasons. Early in Bring Up The Bodies Cromwell builds a tennis court at his home in London and his game play is described as a strategic, clever and canny, just the way you'd expect it to be. Mantel's Cromwell we come to realize is the true "man for all seasons" and the ball is now firmly in the court of the defenders of Sir/Saint Thomas More to attempt to return Mantel's devastating double volley.